Last year, the Huawei P20 Pro set new standards in mobile photography, and now the Chinese company is back with its successor in the hope of building on those successes. The P30 Pro also includes all the technology that we have come to expect from a flagship with a premium price tag. Read on to find out whether Huawei has developed a new camera wonder and how it fares against other current flagships. The Huawei P30 Pro definitely sets a new benchmark for smartphone photography, whether its in terms of low light capabilities or in terms of how much zoom is packed into a smartphone camera. Anyone who loves taking photos will absolutely love shooting with the P30 Pro. For the rest, you get a solid day and a half of battery life on heavy use, with a 70 minute charge time from 0 to 100. When it comes to performance, the Kirin 980 chipset along with the 8GB of RAM and EMUI 9.1 all work together well to offer a smooth, stutter-free experience, whether it be for gaming or anything else. The only thing we hope you can live with is paying Rs 71,990 for a smartphone with an FHD+ display and expandable storage which only works if you have a Nano-Memory card, which Huawei doesn't yet sell in India. The Huawei P30 Pro offers the best camera experience that will convince you to not carry your DSLR on your next vacation. It will give you the courage to click photos in lighting conditions that many of us would never dare to point our smartphones at. It’s basically an extension to your limited human vision. The P30 is a statement of intent from Huawei which was somehow missing in the Mate 20 Pro. Huawei has certainly outdone itself this time. The company has made one of the most multi-skilled cameras we have seen in a long time. However, the image results -- in both night scene and 50x zoom -- are not absolutely perfect but it is a bold step to take and something that will put competition under tremendous pressure. Throw in a sleek and premium design, flagship processor and solid battery life and you’re staring at a winner. Huawei's P30 Pro is big, yes, but it contains one of the best and most enjoyable camera experiences to date. That it's also a great phone is an added bonus. Huawei’s new flagship is just the start of a whole new breed of cameraphone. Periscope lenses and AI will soon be minimum specs for flagship cameras, and any phone maker not already working on such technology will be left behind. If you can’t wait for that future to materialize, the P30 Pro is already here and, for a brief moment in time, it owns the title of the most capable mobile camera on the planet. The P30 Pro not only sets a new standard for Huawei, it sets a new standard for the entire mobile industry. Its four rear cameras are quite simply astonishing, the design is eye-catching and the power plentiful. It’s a true flagship smartphone. I'll come to the snaps later, but let's have a look at the basic specs of this telephone. The unit comes in four colours – they all have fancy names conjured up by some marketing “wizard”. The one I'm using describes itself as “breathing crystal”. It's sort of blue-white. You can also get the machine in orangy-red (“Amber Sunrise”), blue (“Aurora”), black (“black”) and, er, that's it. Personally, I wouldn't like to breathe crystals although it must be difficult for the marketeers to describe 65,000 "colours" when actually these are tones. Huawei P30 Pro: What's up with this crazy camera! That's it for our quick preview of the camera system on the Huawei P30 Pro. Stay tuned for a more complete review of the phone in entirety as we run it through our usual assessment array. What makes the Huawei P30 Pro a camera beast? So these are the three points that make the P30 Pro a camera beast, and coincidentally, also three points ahead of the Mate 20 Pro in the DxO Mark ranking. The P30 Series will officially be on sale in Malaysia on 6 April and if you're interested to learn more about the special launch sale, you can check it out right here or go to Huawei's official website to learn more. Huawei is trying really hard to impress and impressed us it did. The P30 Pro exceeded our expectations and then some. It’s huge in almost every aspect — display, performance, camera, battery and charging technology. If we had to nitpick, and that’s pushing it already, we can only think of the screen resolution to have been bumped to 2k at the very least. But that’s just it — we’re nitpicking. With great design and colour options, immense battery life plenty of power and the P30 Pro isn't just a photography phone, it's arguably the best flagship phone we'll see in 2019. Its camera setup is currently untouchable too. We'll soon have a full review of the Huawei P30 Pro here at Gadgets 360, in which we'll spend a lot of time with this phone's cameras as well as examine its general performance, battery life, software, construction quality, and much more. The regular P30 is in many ways just a more compact version of the flagship Pro. It lacks the periscope camera and the super long zoom, but for all else, this is the same phone that will do the same great job for a lot less money: it has the same fast performance, the same very fast in-screen fingerprint reader, and the same interface. The P30 moves the bar a little higher for other cameras. While I’ve found it’s still easier to get better pictures on my digital SLR, I can’t stick that in my pocket. In practice it means I pack the SLR less and less often. We’re quite not at the point of rarely using it yet. Huawei’s P-series of phones are quickly starting to become a benchmark for the rest of the industry, and the P30 Pro is no exception. Huawei has managed to out-innovate the best in the industry, and we have no doubt that its competitors will have to work double time to catch up. The P30 Pro sports a camera array that’ll have its competitors calling for emergency meetings. It’s not just all software, there’s been an impressive update to the hardware, resulting in what is an unbeatable zoom on a smartphone camera. The P30 Pro is an impressive piece of kit. It has a gorgeous dual-curved design, flagship Kirin 980 processor, IP68 water and dust resistance, reverse wireless charging, a faster in-display fingerprint scanner, and more ... let's be honest, the P30 Pro is really all about the camera. And what a camera it is! The phenomenal 5x optical and 10x hybrid zoom are unlike anything we've used before and allow you to capture photos that you simply wouldn't be able to get with any other smartphone. We will be updating this review over the next few weeks, and hopefully bring you some snaps of Paris to really see if this much-hyped camera is worth it. We'll start with some close-ups on some patisseries, shall we? We don’t know how much the phone will be when it arrives in the Philippines, though Huawei pegs pricing for the P30 Pro at €999 (around Php 59.3K) for the 128GB variant, with prices climbing from there. Take note though that Euro pricing for smartphones are usually higher than in the Philippines, so there’s a chance that the base model will fall under 50K when it arrives on our shores. I’m honestly less sure what I could cover off in a full review, having reached these conclusions in a hands-on piece, but if there’s wrinkles to be found, they’re going to be identified over time. Let’s see if we can’t rule out any real showstoppers by the time of retail launch in Australia on 16 April. Huawei is already turning into the cameraphone benchmark for the whole industry. And the Huawei P30 Pro is exactly the next big thing everyone will be looking to beat. Huawei P30 Pro initial review: Quad camera quashes the competition? With the most versatile camera setup in any phone to date, it's easy to see why the P30 Pro is billed as the photography phone. It's not only impressive on this front, though, with its gorgeous design continuing the series' lineage, while a huge battery and plenty of power ensure it'll be every bit the flagship success. Once again, Huawei's P series has gone heavy on the cameras and aimed high with its design and performance. This could be another big hit for the Chinese firm. 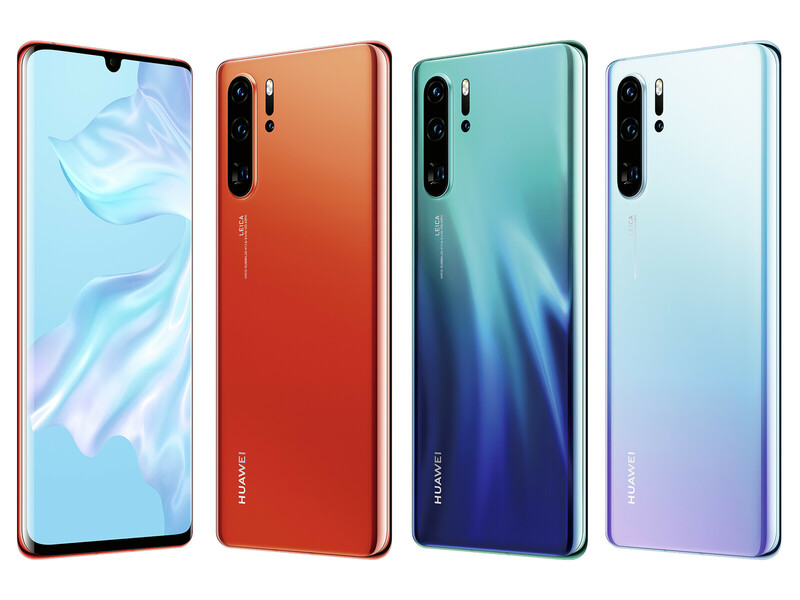 If you're interested in getting your very own Huawei P30 Pro and discover what you can see with the x50 zoom yourself, you can head on over to one of the 11 Huawei P30 roadshows in Malaysia and get yourself some pretty cool freebies while you're at it or just head on over to the nearest Huawei experience stores! 90% Prise en main du Huawei P30 Pro : le parfait Galaxy S10 killer?